On Wednesday July 27, 2011, The Wall Street Journal published an article titled, What’s Wrong with America’s Job Engine? written by David Wessel. In this article, Wessel states that layoffs used to be more temporary. In fact, during the worst portion of the 1980-82 recession, one out of every five layoffs was temporary. Today, layoffs are more permanent. In the recent recession, the percentage of “temporary layoffs” never exceeded 10 percent. What does this mean for job seekers? Job hunting today requires more time, more effort and more sophistication. According to Richard Bolles, an internationally recognized authority on job search skills, a recession only reveals how elementary our job-hunting skills actually are. In order to find new work, transitioning employees will need more meaningful assistance in self-assessment, the crafting of marketing materials, training in advanced-lead generation and networking and help in understanding the accelerated expectations that the current business climate demands. What does this mean for employers? 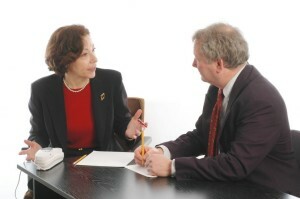 Employers can offer a lifeline to their transitioning employees by providing high-quality, “high-touch” outplacement services that provide interactive training, online resources and strong personal support that is so critical in moving people through specific individual and family challenges. Remaining employees – as well as exiting employees — do notice how their departing co-workers are being treated. The net gain for employers? Improved workforce attitude and engagement, not to mention the protection of a valued reputation. Think of career transition assistance as a way to help employees continue their working career as well as engage remaining employees. Show concern and build positive attitude for employees by helping them build and grow their career while employed. Hold managers accountable for helping direct reports build career plans. Provide outplacement services that provide personal attention and support. Build career-support systems that retain and engage employees to create a sustainable succession process. Career transition requires more skill and more sophistication than ever. Personal, customized assistance is very important for a successful transition. People are not being called back automatically from temporary layoffs.